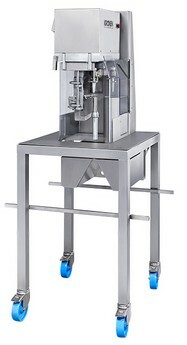 At Fruit Logistica 2019, Kronen will present the newly developed apple peeling machine AS 6 for peeling, de-coring, splitting or slicing apples. The new peeling system scores with a user-friendly handling. The apples only have to be just have to be introduced; then the machine operates automatically. This way, possible injuries are prevented and handling is simplified. Not only processing, but off-loading the product export into the chute -integrated in the substructure- then takes place automatically. 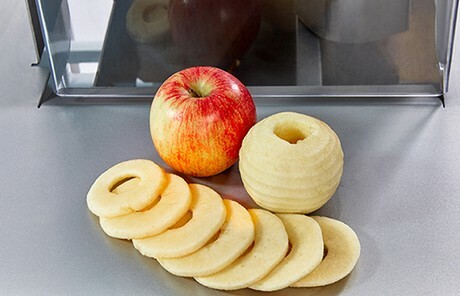 The AS 6 is optimized for the production of large capacities of up to 900 apples per hour and is therefore about 50% above the capacity of well-established apple peeling machine AS 4. The AS 6 was also specially designed from an ergonomic point of view. Visit the company at Fruit Logistica; Stand B-05, Hall 3.1.